As noted in an earlier post, Traditionalism flourished and then withered in Melbourne, Australia, between 1952 and 1963, and perhaps lay behind Australia’s most famous literary hoax. 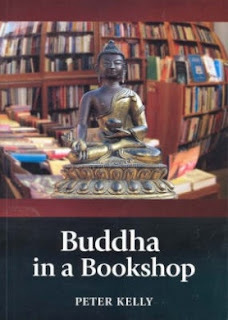 All this is covered in Buddha in a Bookshop (North Fitzroy, Victoria: privately published, 2007) by Peter Kelly, himself a former Australian Traditionalist. The book tells the story of the group that met in the Norman Robb Bookshop in Melbourne to listen to impromptu translations of articles from Etudes traditionnelles and to discuss the questions that they raised. The group was led by Harold Stewart, a poet who had taken a job in the bookstore after becoming nationally famous in 1944. He and another poet, James McAuley, had decided to protest the direction taken by Australian modernism by tricking the leading modernist journal of the time, Angry Penguins, into publishing some spoof poems by a fictional "Ern Malley." As Stewart and McAuley were both readers of Guénon and Coomeraswamy, it is possible that Traditionalism lay behind their attack on modernism. It is also possible that anti-modernism led them to Traditionalism, or that the one reinforced the other. According to Kelly, Stewart’s trick, as does sometimes happen with tricks, had unexpected consequences. Rather than making a point to Australia’s literary world, as seems to have been the intention, it provided the press with good material to make fun of the pretentions of intellectuals in general. In a further unexpected twist, the publisher of Angry Penguins was found guilty of publishing obscene works. Stewart left Sydney for relative obscurity in Melbourne, and never made the poetic career he seems once to have hoped for. And then finally, after some years, the spoof poems became famous again—for their poetic qualities. As Kelly says, they may have been intended as spoofs but they were still composed by two talented young poets who were well versed in the modernism that they were condemning. The Australian Traditionalists never took to “the London group,” as they called the Maryamiyya. They disliked it as “authoritarian and reactionary” (p. 71), and were anyhow generally more interested in Buddhism than in Sufism. Stewart and some other Australian Traditionalists visited Japan in 1963, but then quarreled, for unknown reasons. The meetings in Melbourne stopped, the group fragmented, and Stewart moved permanently to Kyoto, where he lived modestly off his earnings as an English teacher. He died, a Buddhist, in 1995. The Ern Malley poems have since been frequently republished and have attracted much comment, including two plays and a novel, but Stewart himself is largely forgotten, and his Traditionalism generally unknown. McAuley, in contrast, became a Roman Catholic and a professor of English at the University of Tasmania, as well as a sometimes controversial right-wing commentator. The first half of Buddha in a Bookshop covers the events summarized above. The other half deals with Stewart’s poetry and later life, and provides some comments on Traditionalism by Kelly. The book is partly autobiographical, and gives a good flavor of 1950s and 1960s Australia. It is fun to read, though it would have benefited from slightly more thorough editing to remove the occasional repetition, and the second half is a little miscellaneous. 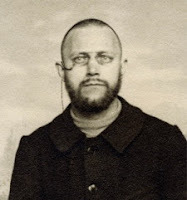 October 1, 2017 will mark the centenary of the death of Ivan Aguéli, the Swedish painter who introduced René Guénon to Sufism, was himself one of the very earliest Western Sufis, and also an early and influential writer on Sufism in French. There are plans to mark this anniversary with a multidisciplinary scholarly publication and/or a conference on Aguéli and his influence. Anyone who might be interested in contributing to either of these is invited to email me at mjrs@cas.au.dk with a preliminary proposal before March 15. The email should include a title and brief abstract (100 to 150 words) plus a CV. Please feel free to forward this invitation to anyone you know who might be interested.